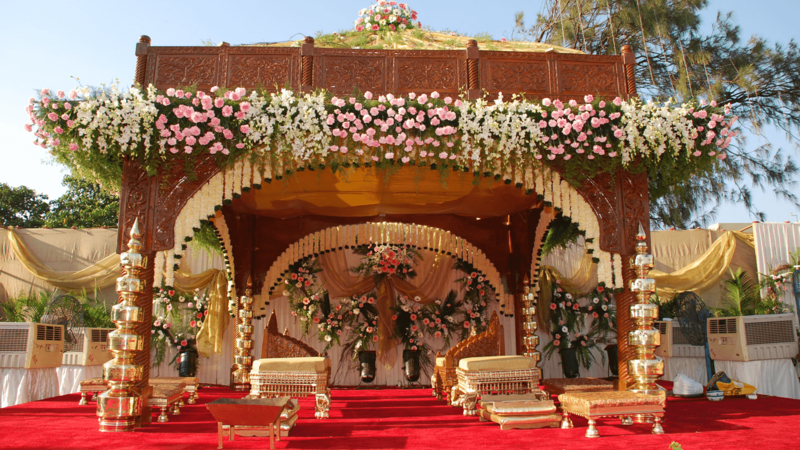 Whether you are planning to have an intimate wedding or an exorbitant one, Islam Gymkhana will surely match your unique choice, budget, and requirements. With a capacity of accommodating up to 2500 in seating and 4000 in floating, the venue has a cosy and comfortable interior for the guests. It also offers an in-house team of caterers that puts all the efforts to delight the guests with mouth watering multi-cuisine dishes. Islam Gymkhana, Marine Lines, Mumbai is one of the most prominent venues in South Mumbai. It frequently hosts fairs, celebrations and public activities for kids. It is also a popular choice for private functions like weddings. Islam Gymkhana has simple decor exudes old-world charm, while the sprawling grounds offer views of the shimmering Arabian Sea. The venue serves a wide range of delicacies to choose from in both vegetarian and non-vegetarian food to their guests. The decor team at Islam Gymkhana takes care of the decoration for your big day allowing you to sit back to enjoy your event. It is also has a lush green lawn which is ideal for an open-air evening reception. Islam Gymkhana, Marine Lines, Mumbai offers complimentary changing rooms for the bride and the groom on their special day.